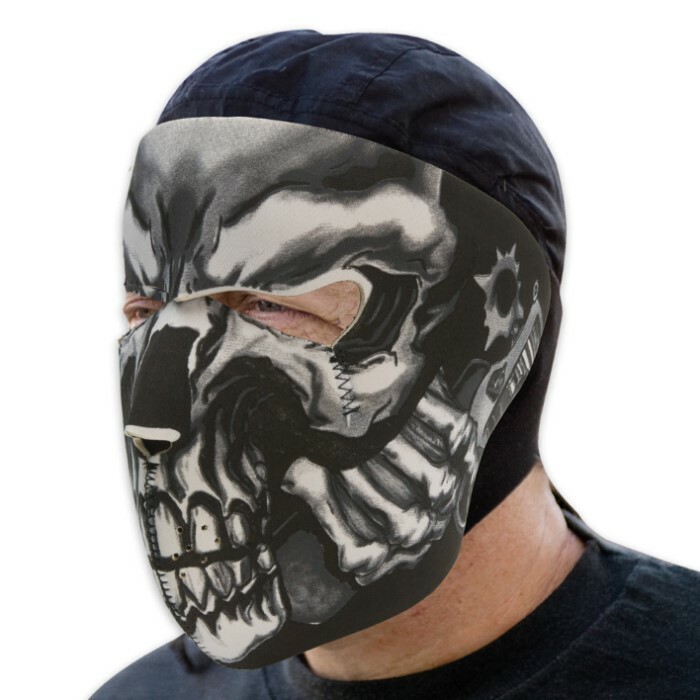 Outrun the cold with this neoprene facemask. Constructed of lightweight neoprene with velcro closure. This is the perfect accessory to your biking gear! One size fits most. Black skull cap not included. This is a great mask I love it the only problems is it smells a bit odd at first. good mask easy to breathe, keeps you warm. thanks BUDK!! your website is awesome!! This is a great product for the price. 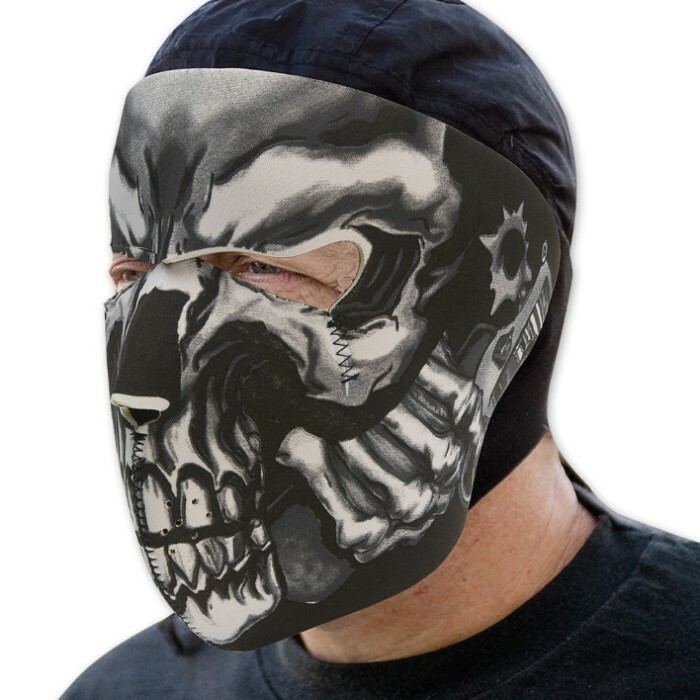 It keeps the wind off my face while out for a ride on my Harley during cold weather.